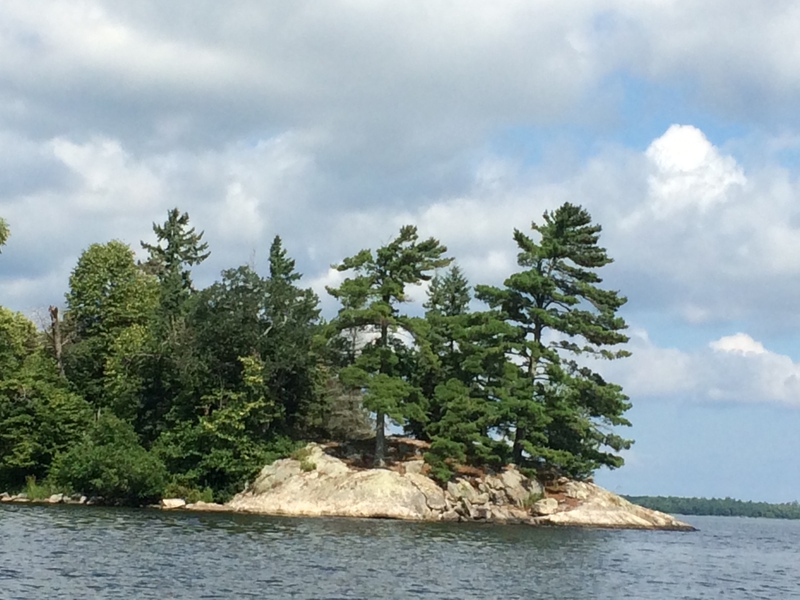 My husband Joe and I just got back from our second trip to Voyageurs National Park by Lake Kabetogama on the Minnesota-Canadian border. 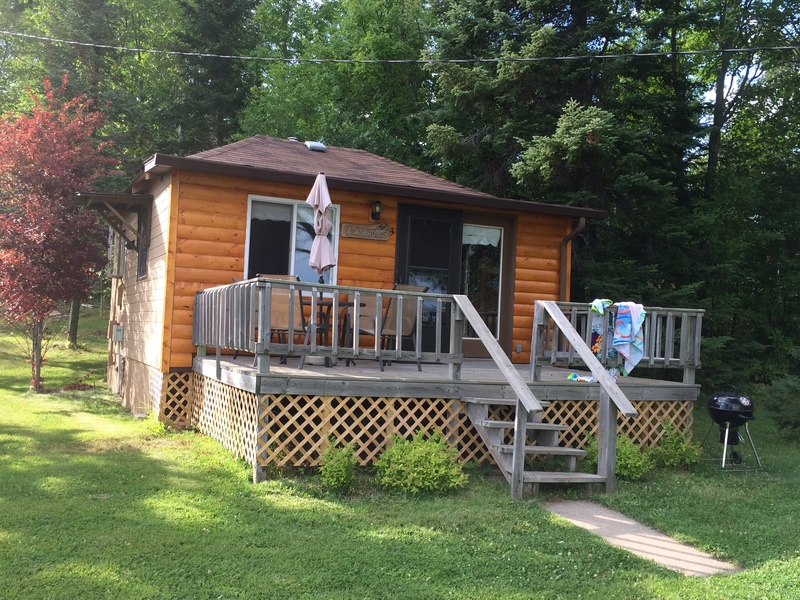 We load our big Lund fishing boat, wear our adventure pants, head up north to a resort called Moosehorn, and rent a cabin for a week offishing Walleye. 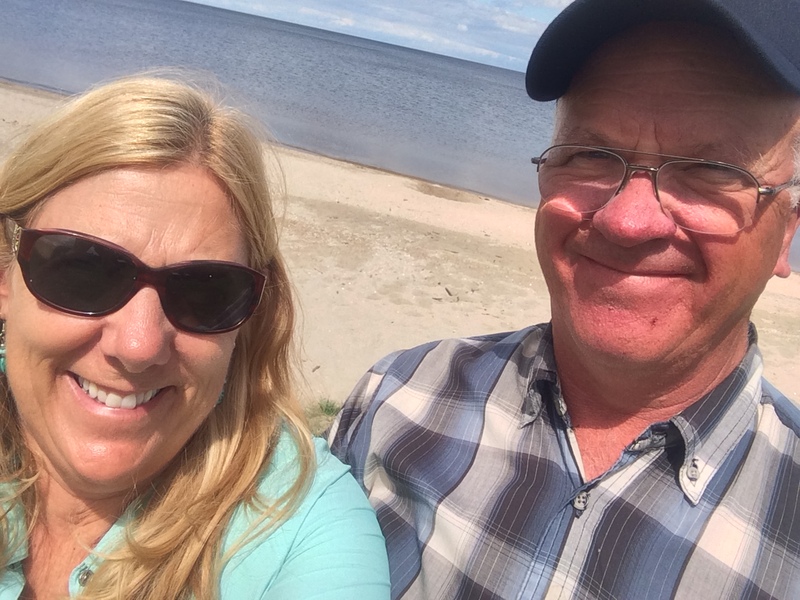 This is our second time to the resort because the owners, Christy and Jerry work really hard to make sure you catch fish and have a great time. 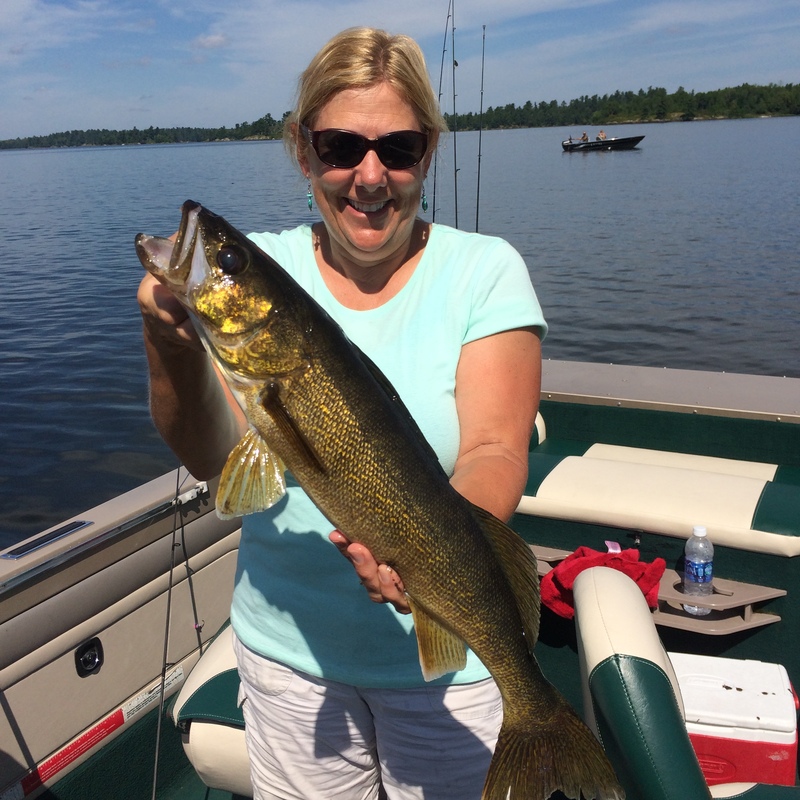 We caught some really nice Walleyes, and more importantly, we were able to spend a really nice week together. 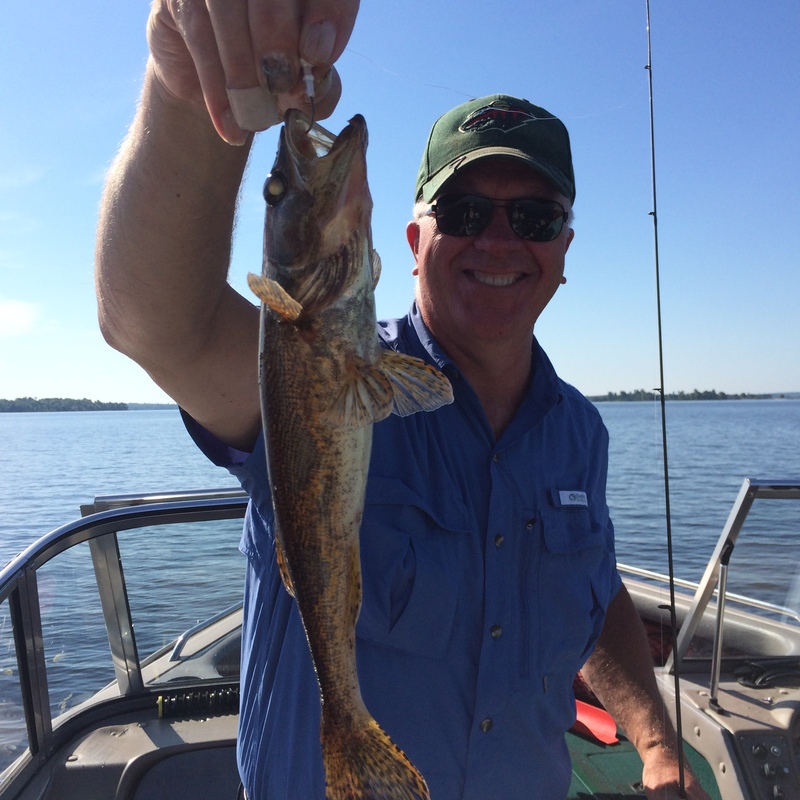 I caught the biggest Walleye. More on that later. 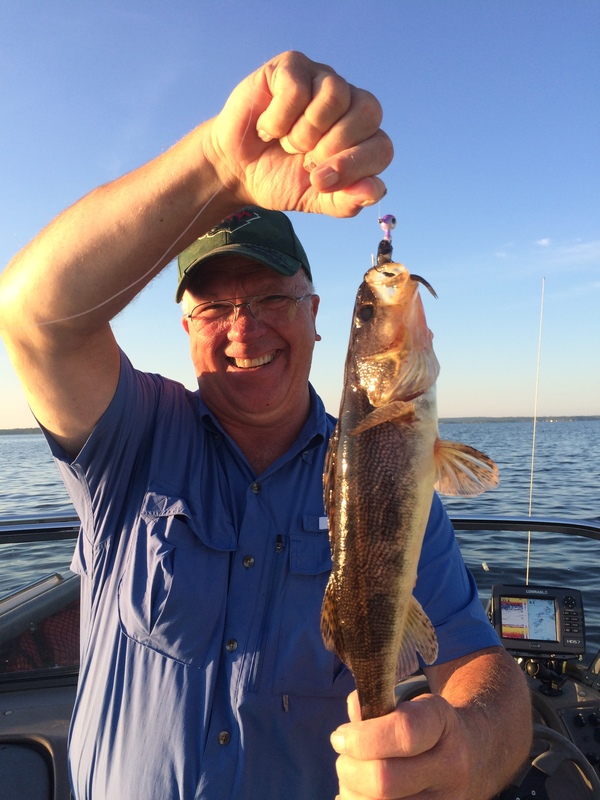 You can do these types of things whenever you want when you are empty nesters. Joe and I have been on some very fun adventures together since our nest became empty. You can read more about by browsing the Practice Fun Living and Empty Nest Shenanigans pages on this site. We loved raising our kids, but the reality is that those years are about them, as it should be. We spent a lot of time in those years, through all of the different phases from diapers and then school, and all of the activities such as soccer, hockey, dance, plays, band and our wonderful family vacations. It was a hectic time, and with all of the kid activities, we sometimes had to work really hard to stay connected as a couple. 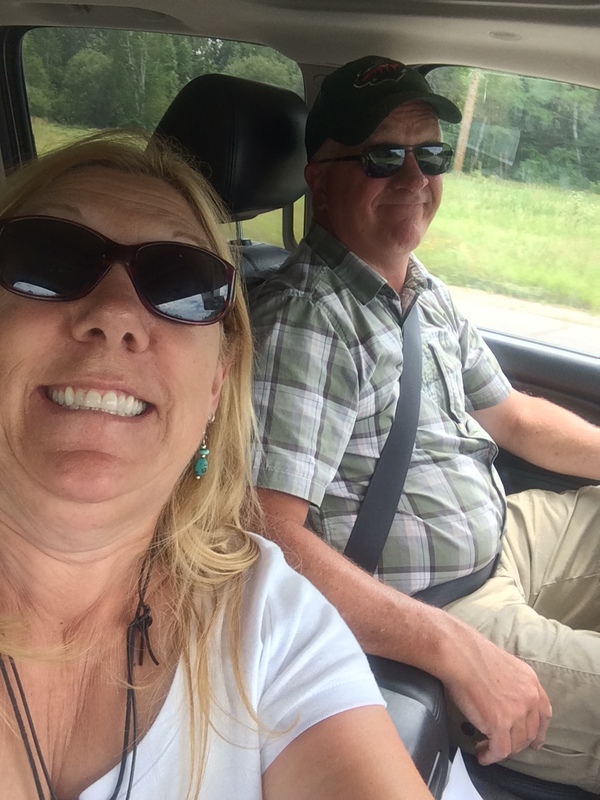 We did stay connected; we now have been married for almost 30 years, and we can once again appreciate each other’s company as we are back to having things more about us and what we want to do. I look back on those family years and even though some of them are a blur, one thing is for sure. I married a really nice guy who took care of us all and would do anything for his family. We recently sold our family home in Blaine, and I was talking to a friend and I told her that none of the light bulbs in that house had ever burned out in 25 years. At first she looked confused and then it dawned on her that of course they had burned out, I just did not have to change them because Joe quietly always replaced them. I don’t even ever remember having to ask him to replace any. He just took care of them. I also had my last car for ten years and during that time it never once ran out of washer fluid. Another thing that he just made sure was always done. Over the years he has had to do a lot of things for his family. I have come to the conclusion that it is not big spectacular things, but the small things that make a good dad and husband. He has not had to defend his family against an intruder or wrestle a bear or cougar in a National Park so the kids and I would not be mauled, although that would be a good story, but over the years he has had to take care of all of their gadgets that break, whether phones or cars, and schedule and keep track of oil changes on sometimes as many as five different vehicles. He has paid a few parking tickets for our college students—luckily no one has ever done anything serious, and when they were in High School he had to help them with their math and calculus, since he has a PhD and actually easily understood that complicated homework. Over the years Joe fixed many a broken door, screen, window, dresser drawers and toys. He was there for them when they needed him and he has always been a low maintenance guy. Joe loves watching his Twins baseball and he is so easy going that he seldom complains. As our kids say, he can live off of a handful of peanuts and is happy with that. He mows the lawn, pays the bills, and would drive his family thousands of miles on family vacations. He had to put up with all of the pets our kids wanted over the years and had a real tolerance for all of the noise in our house when the kids were teens and had their friends over for movies, music and games. Those teens ate everything in the house like locusts, and were so loud you needed ear plugs sometimes, but it had to get really bad before he complained. We did a lot of fun things with those kids over the years, and we had a lot of fun together. The guy has skills other than mowing lawns and fixing broken stuff in the house. When we took a driving vacation around Europe for our 25th anniversary he bossed it up on the roads, including keeping up with the Germans on the Autobahn, and he caught on quickly to driving without obeying the traffic signs and weaving around the hundreds of motorcycles on the streets of Rome. I had my hands over my eyes more than once. Yes, we got a couple of tickets in Europe for driving down the wrong way in Amsterdam and in Italy, but that was my fault as the navigator and it was well worth it, for the great sites that we saw on that vacation. There was not a scratch on the car and after being in Europe for about two weeks. I knew he had this driving thing down like a local when we went to a German restaurant for pork hock night and he parked our car with two wheels onto the sidewalk, just like the locals. It is good to have an adventure buddy with balls who is not afraid to try something new, and a guy with some skills who knows how to do everything from fix the computer to catch fish. We have zip lined, snorkeled, and we have sat our butts in the Natural hot springs of the blue lagoon in Iceland. We have visited the cliffs on the Mediterranean at the Cinque Terre in Italy, stayed on a farm in the Alps by Innsbruck Austria, and a castle on the Mosel River in Germany. We have hiked and fished in Hawaii, Alaska and Costa Rica and we hope to have many adventures ahead. It is good to have the right adventure buddy. We encourage and reassure each other and more importantly we have fun together. If you cannot have fun together, a marriage will not last for 30 years. I have found that you have to find common interests, and the key is that you enjoy being with the other person. We enjoy many things and we can still have fun at things we have been doing for years. We work together on the planning and preparations for our adventures and we have a list of future adventures that we already know we want to try. 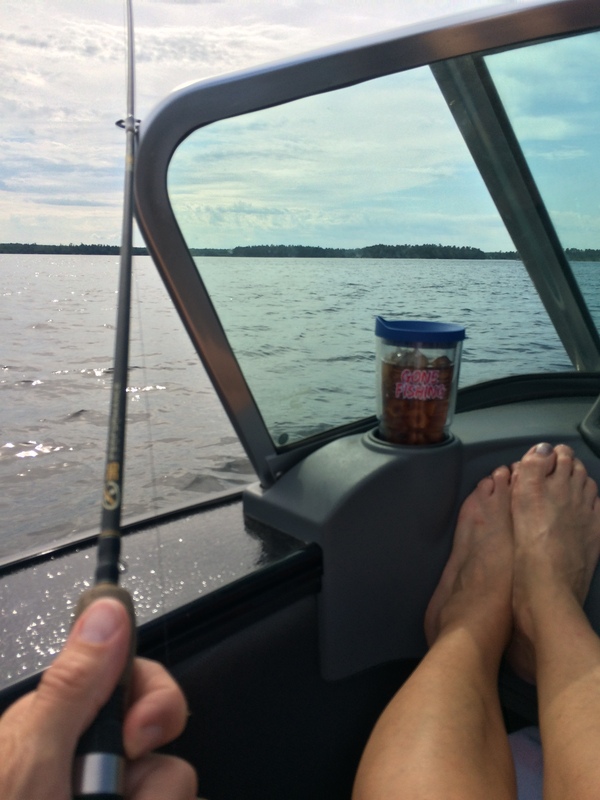 Last week at Kabetogama, as usual with our fishing adventures, there is a lot of trash talking about who will catch the biggest fish and the first fish. 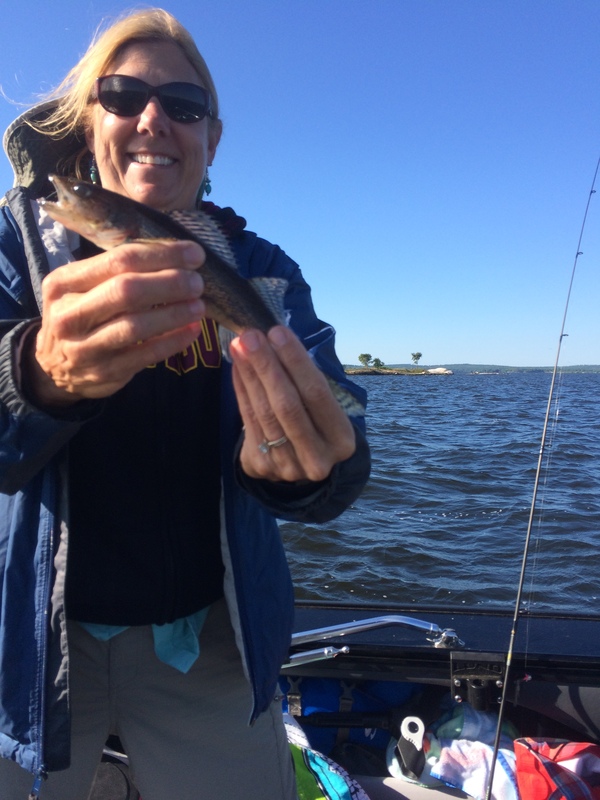 I make him take pictures of every fish I catch, no matter how embarrassingly small it is. I did catch the biggest fish this year and have been rubbing it in since we are back, but he reminds me that he caught the first fish. Most importantly, we enjoy our time together. 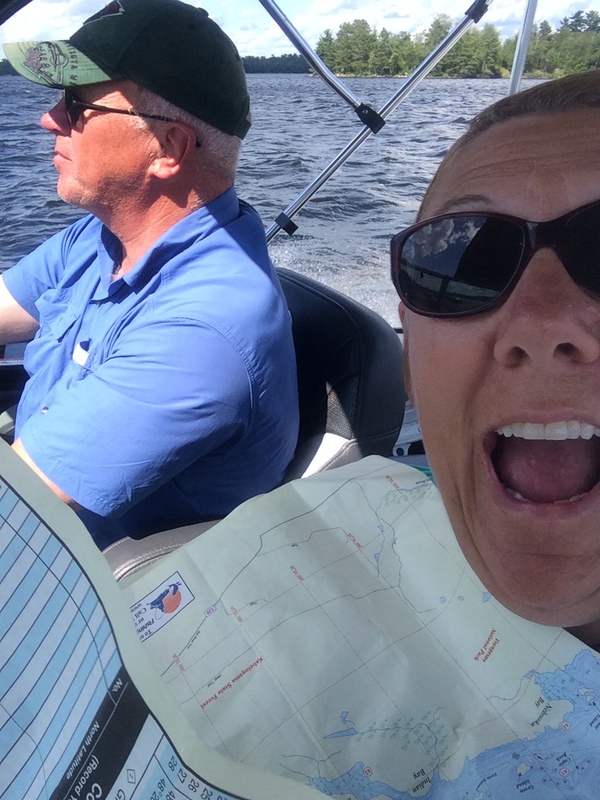 We go with the flow; we enjoy not only the adventure, but the planning, preparations and getting there and back, and talking about it afterward even when it is trash talking about who caught the biggest fish. Picking the right adventure buddy for both your vacation adventures as well as your own life adventure is crucial to enjoying your time on this earth. Who would have thought, looking from afar that the quiet guy who gets little recognition when he changes the washer fluid on the cars and changes light bulbs in the house, the guy who is mowing the lawn and paying the bills, going unappreciated and almost unnoticed most of the time, would be the best husband and dad a family could ask for. The kids and I have appreciated the things Joe has done for us, even though we have not expressed it as often as we should. Appreciate your adventure buddy, your quiet guy who has done his duty for his kids and wife; the guy who asks for little in return, but shows up for everything from changing dirty diapers to hauling the kids stuff to college. It has been a fun ride and we have many more adventures ahead. Life can be fun with the right Adventure Buddy!